1: Do you take reservations? 2: Can you accommodate large parties? 3: What are your accommodations for children? 4: Do you sell gift cards? 5: What are your hours of operation? 6: Can you give me directions to your restaurants? 7: Do you offer daily specials at your restaurants? 8: How do you describe your menu? 9: Can I print your menus from your web site? 10: How is the food prepared? 11: Do you offer soups and salads? 12: Do you offer vegetarian dishes? 13: Where does the name "Fiorella's Jack Stack" derive from? 14: What is the difference between pork spare ribs and baby back ribs? 15: What exactly is a Burnt End? 16: For Carry Out: How much food should I order per person? 17: How early in the day can I pick-up my Carry Out order? 18: Do you ship your barbecue across the country? 19: Can I order through your catalog and then pick it up at one of your restaurants? 20: Do your restaurants offer a full bar? 21: Which credit cards do you accept? 22: Do you accept checks? 23: Are you affiliated with Smokestack BBQ restaurants? 24: Do you do anything for birthdays? 25: Can we bring our own birthday cake into the restaurant? 26: Do you allow smoking in your restaurants? 27: Do you make your own Sausage? 28: Why does everyone rave about your Hickory Pit Beans? 29: Where did your Cheesy Corn Bake originate? 30: Do you have any restaurants outside of Kansas City? 31: Do you offer outdoor seating at any of your restaurants? 32: Do you have catering services? 33: I have certain allergies. Will you be able to accommodate me? 34: Can I bring in my own wine? 35: Do you offer the service of smoking meats for customers for the holidays? A:All five of our restaurants accept reservations based on availability, and we encourage reservations for larger parties. To inquire about a reservation please contact the location you intend on dining at for more details. For parties who are interested in a private event, we do have private dining facilities available at our Freight House restaurant and close to our Martin City restaurant (13645 Holmes). Q: Can you accommodate large parties? A: For large parties of 8 or more we encourage you to call for a reservation. Please see above for more details on our reservation policy. We can often accommodate large parties up to a certain size, depending on restaurant locations. We also have private dining rooms available at our Freight House restaurant and close to our Martin City restaurant (13645 Holmes). For more information, please contact the restaurant you'll be visiting. Q: What are your accommodations for children? A: For kids 10 and under, we have a children's menu with an assortment of puzzles, games and coloring pictures to keep your young ones amused while they're waiting for their meals. Booster chairs and highchairs are also available. A: Yes. 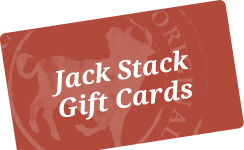 Available in any denomination, you can purchase them online at jackstackbbq.com, by calling our Customer Care toll-free at 877.419.7427 or by stopping into any of our five Kansas City metro area restaurants. They're good for purchases of food at any of our restaurants, a catered event, or for any online order. A: Monday through Thursday - 11:00am to 10:00pm. Friday and Saturday - 11:00am to 10:30pm. Sunday - 11:00am to 9:00pm. Occasionally, our Carry Out doors are opened earlier during certain holidays and special events. For more information, please contact the restaurant you'll be visiting. Q: Can you give me directions to your restaurants? A: Please follow our restaurant link on our home page to the location of your choice. You'll find map/directions links within. We also have specific addresses if you're needing to map driving directions to one of our restaurants. Heading from: KC International Airport: 601 Brasilia Ave. Kansas City, Missouri 64153; Charles B Wheeler Downtown Airport: 300 Richards Road, Kansas City MO 64116. If you're driving to Kansas City, map to us beginning at your starting destination. The closest restaurant to I-70 is our Freight House restaurant in downtown Kansas City. If traveling from south of Kansas City, you may want to visit either our Martin City location, or our Overland Park, Kansas location. This would also include business travelers with Sprint, Black and Veatch, Corporate Woods, etc. in areas south of Kansas City. Q: Do you offer daily specials at your restaurants? A: We do offer specials at lunch Monday through Friday, and occasionally at dinner. For more information, please contact the restaurant you'll be visiting. Q: How do you describe your menu? A: Our menu has been developed over the past 50 years. 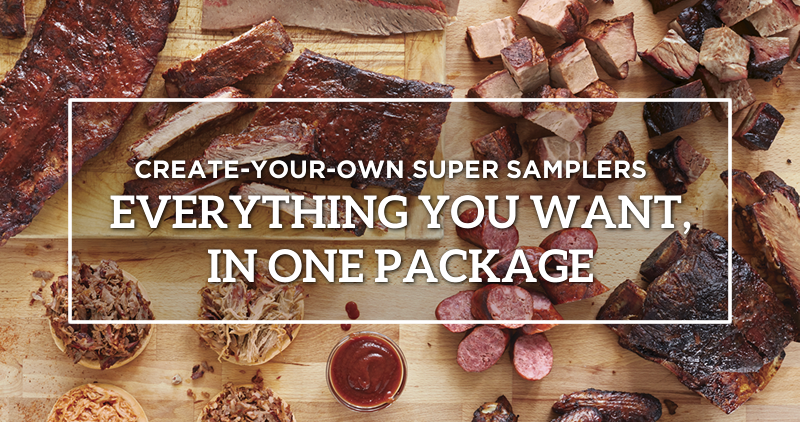 It consists of traditional barbecue items such as pork spare ribs, beef ribs, baby back ribs, beef brisket, burnt ends, turkey, ham, pork, and Strawberry Hill sausage. Our menu also includes Certified Angus Beef steaks, tender chicken, and award-winning lamb ribs. A few of our signature items are the Crown Prime Beef Short Ribs, Duroc Pork Chops, and Rack of Lamb. From our founder's travels along the Yugoslav coast in the mid 1970's, Jack Fiorella and his wife, Delores, began grilling fresh fish over hickory wood fires. Our menu offers farm-raised Atlantic Salmon, BBQ Glazed Trout and Barbecue Jumbo Shrimp. To accompany your meal, we offer our mouth-watering side dishes like Hickory Pit Beans, Cheesy Corn Bake, salads, soups, baked potatoes, and steamed or grilled vegetables. We also offer an extensive drink menu with a wide variety of wines and selection of domestic, imported, and specialty beers to compliment any meal. Q: Can I print your menus from your web site? A: Yes. We offer our Dining Menu, Carry Out Menu, Catering Menu, and Private Dining Menus online for viewing, and also to print-out for your convenience. Simply click the menus link from any of the restaurant home pages and enjoy. Q: How is the food prepared? A: Jack Stack's distinctive Hickory Wood-Fired cooking process results in a seared exterior and a tender interior. We have experienced staff available if you would like to discover in greater detail just how we're able to transform brisket and ribs into what many call "The First Taste of Kansas City" and are consistently voted KC's best barbecue. We take great pride in being honored as such, because in this town, that's really saying something. Q: Do you offer soups and salads? A: Yes. We offer fresh, crisp salads that are made to order, and fresh, homemade soups that vary according to the day of the week. On Monday, Wednesday, and Friday, we offer our own Burnt End Stew. On Tuesday and Thursday, we offer our Smoked Chicken and Sausage Gumbo. On Saturday and Sunday, we offer our Wood-Fired Chicken and White Bean Chili. Q: Do you offer vegetarian dishes? A: Yes. We offer steamed or grilled vegetables, along with a variety of delicious salads. Please contact the restaurant you'll be visiting for more information regarding our vegetarian dishes. Q: Where does the name "Fiorella's Jack Stack" derive from? A: Fiorella's Jack Stack Barbecue was originated in 1957 by the Fiorella family in the traditional style of a storefront barbecue house with a modest selection of 5-6 items, originally named Smokestack Barbecue. Jack, the eldest son, worked there from its inception until 1974 when he decided to branch off to expand the barbecue theme and start Fiorella's Smokestack of Martin City. When Jack decided to open his second restaurant in Overland Park back in 1997, he decided to change the name of his restaurants to Fiorella's Jack Stack Barbecue, a derivative from the original Smokestack Barbecue. Q : What is the difference between pork spare ribs and baby back ribs? A: Pork spare ribs are the traditional slab of ribs. They come from the belly of the pig, behind the shoulder. They include 11 to 13 long bones. There is a covering of meat on top of the bones and between them. Baby back ribs, sometimes called loin ribs, are cut from the loin section. They are shorter and smaller than spare ribs. They have a covering of meat over the bones and also between them. Because they do come from the loin, they are leaner and meatier than spare ribs. They are also considerably more expensive and in shorter supply. Q: What exactly is a Burnt End? A: Don't let the name fool you, there's nothing "burnt" about them. The name came about because when the meat is left in to barbecue for an extra amount of time, the outer surface, or bark, will take on a darker appearance than normal. Hence, the name Burnt Ends. They can be cubes of beef brisket, ham, pork, or sausage, which are tender on the inside and lightly seared on the outside. Burnt Ends have always been a Kansas City favorite. Q: For Carry Out: How much food should I order per person? A: NOTE: These suggestions are just that, suggested servings. Added variables such as big eaters, light eaters, or little children will affect the amount of food you'll need when accounting for all of your diners. One pound of meat will feed 2 to 3 people. One full slab of pork ribs will feed 2 to 3. A quart of Hickory Pit Beans or Cheesy Corn Bake feeds 6 to 8. Crown Prime Beef Ribs feeds 1 to 3. If in doubt, order just a little more than you estimate you'll need, just to be sure to have enough. For assistance, please contact the restaurant you'll be visiting and our experienced staff will be more than happy to help in making suggestions. Q: How early in the day can I pick-up my Carry Out order? A: Our carry out departments open at 10:00am, but special arrangements can be made ahead of time to pick-up orders earlier. During Kansas City Chiefs home games and certain holidays our carry out doors open up early at 9:00am. Please contact the restaurant you'll be visiting and our experienced staff will be more than happy to help with scheduling your pick-up to meet your needs. Q: Do you ship your barbecue across the country? Q: Can I order through your catalog and then pick it up at one of your restaurants? A: Unfortunately, you cannot pick up a shipping order in the restaurant. However, you are welcome to place a carryout order for pickup at any of our restaurant locations. Click here to order Carryout online. Q: Do your restaurants offer a full bar? A: We offer a full bar serving specialty cocktails, the best selection of high end liquors, an extensive wine list, and a wide selection of domestic, imported, and specialty beers. For more information, please contact the restaurant you'll be visiting. A: We accept Visa, MasterCard, American Express, and Discover cards. A: We do not accept either company or personal checks. Q: Are you affiliated with Smokestack BBQ restaurants? A: No. The Smokestack BBQ restaurants were owned by Jack Fiorella’s siblings and were separate from Fiorella’s Jack Stack Barbecue. All Smokestack restaurants have closed. Q: Do you do anything for birthdays? A: Yes. We offer a complimentary dessert, and we promise to not sing “Happy Birthday”. Q: Can we bring our own birthday cake into the restaurant? A: Yes, but with one exception: Jack Stack Barbecue reserves the right to disallow any cake we deem is inappropriate within a family environment. For more information, please contact the restaurant you'll be visiting and ask to speak with any of our helpful managers. Q: Do you allow smoking in your restaurants? A: Smoking is not allowed inside any Jack Stack restaurant in accordance with local laws governing smoking in public buildings. Q: Do you make your own Sausage? A: Our Sausage is made in Kansas City's Strawberry Hill District, and prepared in our distinctive style. We then barbecue the links "low and slow" over a hickory-wood fire. These links are a Sausage delicacy, and will arguably be the leanest sausage you've tasted. Q:Why does everyone rave about your Hickory Pit Beans? A: Our One-Of-A-Kind Hickory Pit Beans transforms any ordinary pot luck or picnic into something extraordinary. Shreds of Hickory Roasted Beef Brisket account for over 20% of our meaty Bean side dish. Featured on the Food Network with Chef Bobby Flay in his BBQ with Bobby Flay Kansas City segment, and also the Smokin' Sides episode. Many people come to our Kansas City restaurants just from hearing about our Hickory Pit Beans. Just remember, there's nothing baked about these beans. They've truly been smoked in our old-fashioned, Hickory-fired, brick barbecue pits. Q:Where did your Cheesy Corn Bake originate? A: This popular side dish is a family recipe that has been served at our Restaurants for years. It's a mixture of cheddar cheese, cream cheese, corn and diced ham. A: Jack Stack Barbecue currently has five Restaurant locations. All are located in the Greater Kansas City area. Our Martin City location at 135th and Holmes, our Overland Park location at 95th and Metcalf, our downtown Freight House location at 22nd street and Wyandotte, our Country Club Plaza location at Wyandotte and Ward Parkway and our Lee's Summit location at 50 Hwy & NW Pryor Rd. Visit our restaurants page for more information on our restaurants and directions. Q: Do you offer outdoor seating at any of your restaurants? A: We have a full-service outdoor patio at our Freight House, Country Club Plaza, and Lee's Summit locations. At our Martin City location, we have an outdoor patio that is available for drinks and appetizers only. Q: Do you have catering services? A: Yes. We are the largest restaurant-based caterer in Kansas City, and can handle groups in any size from 10 to 10,000. Simply call our catering office at 816-941-4309 and one of our professional event planners will help you plan and execute your event. We offer our Catering Menu online for viewing, or to print-out for your convenience. Q: I have certain allergies. Will you be able to accommodate me? A: We are sensitive to all food allergies. For those with food allergies to Gluten, MSG, Seafood, Dairy, Egg, Nut, Protein (PKU), or Soy, the following is a list of items containing possible allergens. This list is also on each individual restaurant page of this website as well as being available in our restaurants. With any allergen-free requests, we take measures to prevent cross-contamination with other items being prepared. Our restaurant managers are fully versed on allergens and can answer any questions during the dining experience. Please be sure to alert us to any possible allergies we should be aware of. Q: Can I bring in my own wine? A: Yes. We will allow you to bring in your own bottle of wine. We do, however, charge a nominal corkage fee. Q: Do you offer the service of smoking meats for customers for the holidays? A: We're sorry, but we no longer offer this service for our customers. Our experience shows that more and more customers were choosing the trouble-free option of purchasing our sliced meats by-the-pound for their holiday meals. For more information, please contact the restaurant you'll be visiting and ask to speak with any of our helpful carryout personnel.